It's been a difficult second season for Roberto Martinez at Goodison Park. After guiding Everton to 5th in the league last season, while playing some terrific football, the Spanish boss appears to have been hit with the 'Sophomore Jinx' this time around. Although it's been suggested that Martinez has no 'Plan B', the reality is that the club's problems stem from a squad that is painfully thin and features a few too many players like Sylvain Distin that are past their sell-buy date. 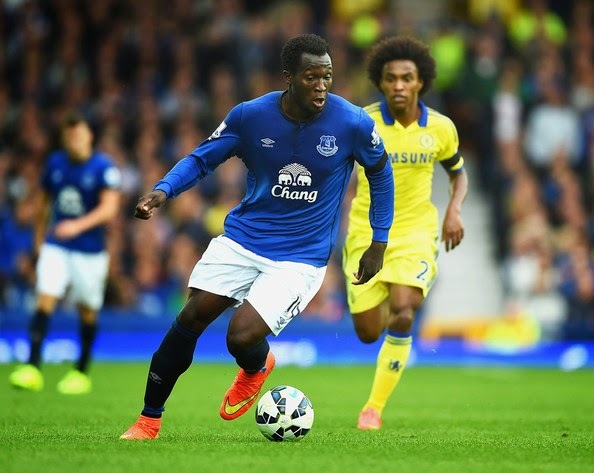 They've also not been helped by the lack of goal return from big money signing Romelu Lukaku, who had flourished at the club while on loan last season. Everton suffered another disappointing result on Monday, as they were held to a 0-0 draw at home to struggling West Brom. Yesterday's draw even served up a bit of controversy as Kevin Mirallas brushed aside regular penalty taker Leighton Baines and then conspired to miss from the spot in the 44th minute. Sky Sports analyst Gary Neville, described the incident as “a scandal”. He said: “If he’s gone against team orders or manager’s orders and selfishly taken the ball, it’s one of the most despicable breaches of team spirit you can possibly have. You do not do that at any cost. 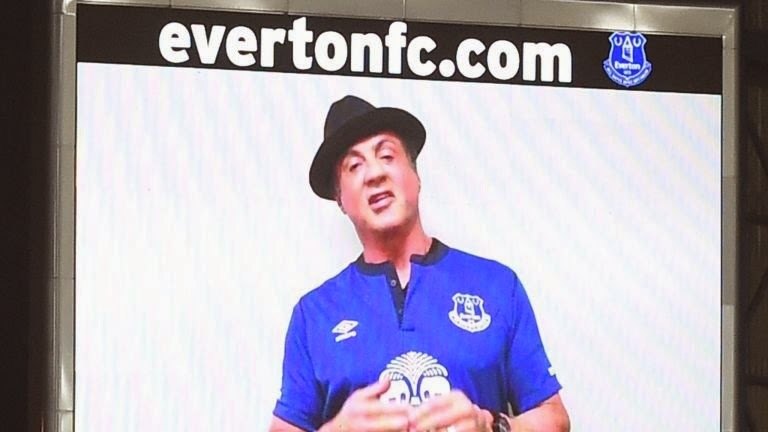 In the midst of this night of frustration, the home fans were at least treated to a surprise message by celebrity Toffee fan, Sylvester Stallone, who appeared on the big screen at Goodison and asked fans to stay in their seats at half time to provide some crowd scenes and noise for his upcoming film 'Creed'. Creed tells the story of Stallone's legendary Rocky character training his old nemesis and then friend Apollo Creed's grandson Adonis Creed for a shot at boxing's heavy weight title. 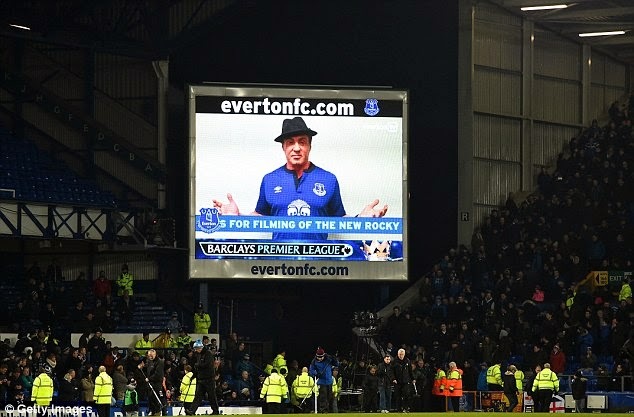 The idea to use Everton's home ground for scenes in the film was put forward by real life champion boxer and Everton supporter Tony Bellow, who takes on the young Creed in the film. So while Evertonian's suffered through watching another disappointing performance on the pitch, they at least have the consolation of appearing in a Hollywood Blockbuster.